On Tuesday evening October 10th our First Year Mass of Welcoming took place. This ceremony was held as a special moment of official welcome for First Years and their families. Mass was celebrated by Fr. Enda Brady. The theme of the celebration was ‘Let Your Light Shine’ and in his welcome Mr. Gallagher, Principal, remarked that even in their relatively short time in school each student’s light has been shining brightly. 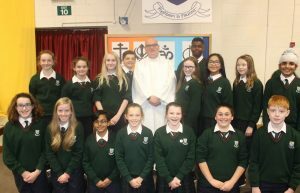 Mr. John Murray, Deputy Principal, thanked all those who organised and took part in the celebration; those who read, brought up gifts, enacted the communion reflection etc. 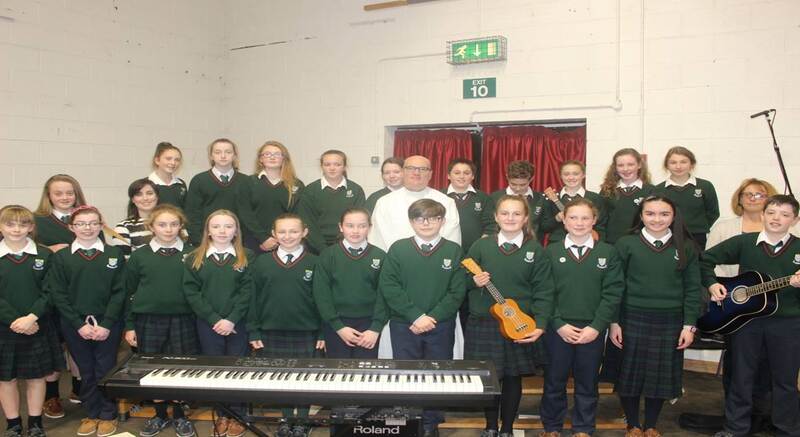 Special words of praise were reserved for the excellent First Year Choir under the direction of Ms. Helen Colbert and the musical accompaniment of Ms Liane Bradley (Music Teacher). Proceedings then adjourned for refreshments which brought an end to a most enjoyable evening. Click on the link below to view a powerpoint slide show on our first year mass.